This new year is different,the very first day of the year saw veteran and talented actor,Kader Khan leaving us forever.This is the news everyone woke up to,today. He was not a conventional hero who had stereotypical dialogues to deliver or moves to master.He was the combination of those rare talents who will be mourned forever. Here are some facts about the actor,which are not very common and most of us are unaware of. 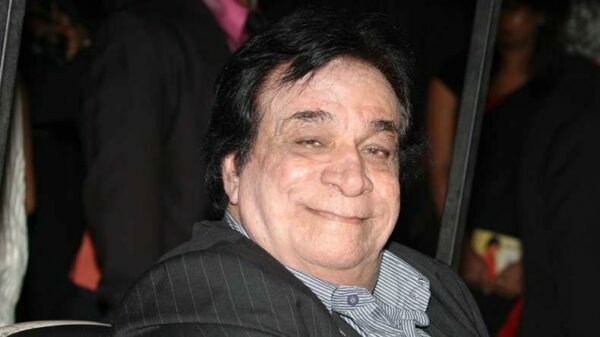 1.Kader Khan was highly educated.He had a masters in the Arabic language as well as he was an engineering professor in M.H.Saboo Siddik College of Engineering in Byculla.He was a Civil Engineer before his acting career started. 2.Very few of us are aware that he is highly recognized by none other than American Federation Of Muslims From India,for his contribution towards the Indian Muslim community. 3.Kader Khan was signed in a film by none other than Dilip Kumar himself when he spotted him in a theatrical play,in his college event. 4.He was not only a recognized actor,but he was an extremely talented writer as well.He was a dialogue writer as well as scriptwriter for over thousands of films. 5.Very few are aware that actress Zarine Khan is related to him.His son Sarfaraz Khan is also an actor,whom we have seen in films like Ramaiya Vastavaiya and Tere Naam. 6.He was away from main stream movies for a long time and was last seen in ‘Aman Ke Farishtey'(2016),and was all set to make his comeback with ‘Welcome Back’. 7.Kader Khan wrote dialogues for Amitabh Bachchan,in more than thirty three of his films.Their collaborations were highly apprecited. 8.Kader Khan’s films with Govinda,directed by David Dhawan is known to all.This dynamic duo gave us some famous dialogues and iconic comic scenes to remember them by. 9.He was so successful as a dialogue writer and scriptwriter that he won the Filmfare Award for Best Dialogue in 1982,for the film Meri Awaaz. 10.He even had his own contributions in the television world as well.He was in a comedy series called ‘Hi!Padosi…Kaun Hai Doshi?’. Thus,these are some of the ways we can know the versatile actor who is no more with us.